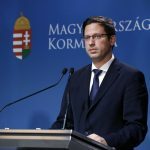 The interior ministers at the Bucharest meeting agreed to raise the staff of EU border protection agency Frontex from the current 400 to 10,000 by the year 2027, he told Hungary’s public media. 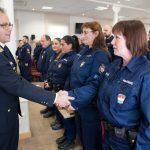 In the first phase, a “robust” unit of 3,000 people will be on reserve in order to be able to assist member countries protect the external borders of the EU in case they need help, he added. “This is an opportunity to protect Europe’s external borders and we support it (reinforcing Frontex),” Pintér said. Frontex, however, “must not harm the sovereignty of member states and must not arbitrarily take over border protection services” from any country, he added.